If shopping malls are really dying - killed by retail apps, next-day delivery, and those giant "fulfillment centers" rising across Pennsylvania - you wouldn't know it. Not the way big investors like Simon Property Group are buying and selling rival shopping malls. On Monday, Simon - the Indianapolis company that owns one of the largest malls in the United States (King of Prussia) and the biggest in Philadelphia (Philadelphia Mills, the former Franklin Mills) - offered $22 billion, or $91 a share, for national mall chain Macerich Co., of Santa Monica, Calif. Macerich has lately renovated Deptford Mall and has promised to do the same for Center City's Gallery at Market East once city government commits enough public dollars to guarantee profits. Macerich CEO Arthur Coppola hasn't wanted to sell. But shareholders have got to be pleased: On Monday, Macerich shares rose above Simon's offer price, a sign that investors (led by Malvern-based Vanguard Group, which owns about 13 percent of both chains) expect Simon, or someone, will end up paying still more. What does this mean for the Gallery? Its owner, Center City-based Pennsylvania Real Estate Investment Trust, which brought in Macerich to help fund improvements, has already moved small stores out of the mall's eastern half for redevelopment. But Simon says it won't keep all the Macerich malls; it plans to sell some (it won't say which) to General Growth Properties, of Chicago - which owns Christiana Mall in Delaware, for example. Simon's offer "does not change either the plans or the schedule for the redevelopment of the Gallery," PREIT spokeswoman Heather Crowell told me. Simon declined to comment on its plans for Philadelphia. Could a Bloomingdale's be coming soon to Center City? Parent company Macy's Inc.'s local broker, Michael Salove's MSCretail, has been advertising for a 120,000-plus-square-foot Bloomingdale's department store site with "significant presence" at street level in Center City. MSC is also scouting Bloomingdale's Outlet Store spaces, at 15,000-plus square feet, in shopping centers and neighborhood downtowns across the area. 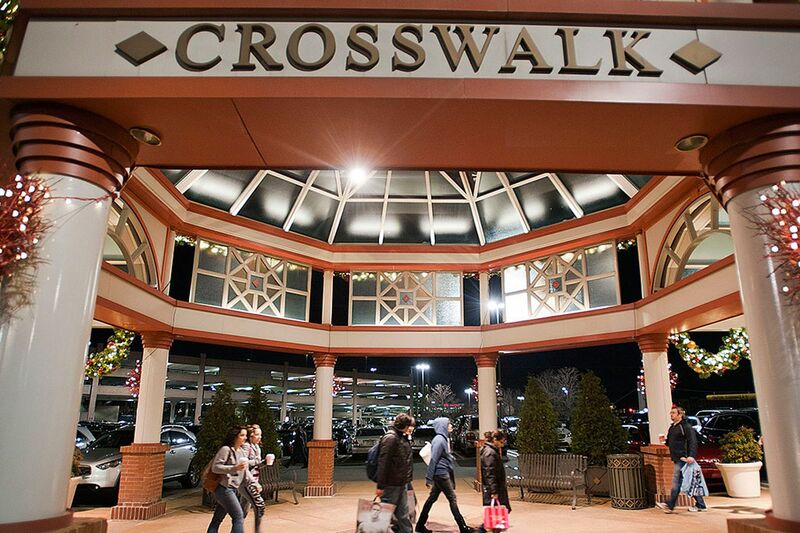 Bloomingdale's already has department stores at King of Prussia and PREIT's Willow Grove Park mall. The real estate people I've heard from aren't sure the Gallery, East Market, or other big Center City sites offer the high-end traffic and similar store tenants that could keep a full Bloomingdale's profitable. The chain's outlets are another story. The closest is in faraway Paramus, in North Jersey. Bloomingdale's has nothing in Philadelphia, South Jersey, or the Brandywine Valley. At first, "we were nervous about putting one of the Bloomingdale's Outlets too close" to the chain's department stores, chief financial officer Karen Houguet told investors on a conference call last month. But it worked: Outlets now "serve as an entry point for the customer" to learn to love the chain and visit its larger department stores.